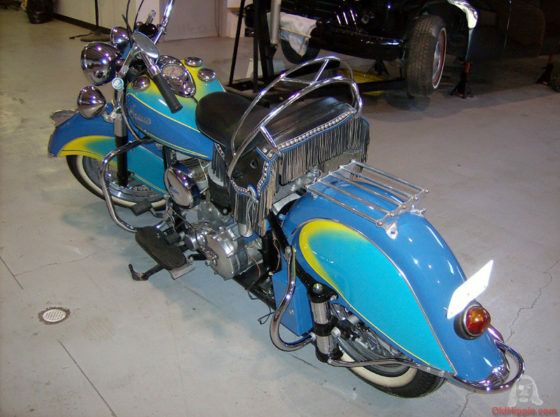 After reading an old magazine article on Bob Stark’s Indian history and the creation of the Rainbow Chiefs, I commissioned the founder of Starklite Indian to build this bone stock, but highly optioned, Blue Rainbow Chief (his signature paint scheme from his Indian dealership in the Forties and Fifties) using a lot of very rare and expensive original parts. With Bob’s passing a few years ago, his Rainbow Chiefs have become more and more rare and desirable, with the Blue Rainbow more rare than the Red Rainbow. 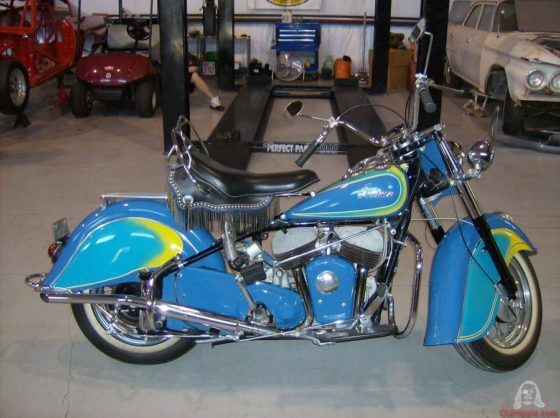 With less than 500 miles, this may be the best surviving example of a very rare motorcycle. This is the first of 23 Indians I bought for my Indian museum. 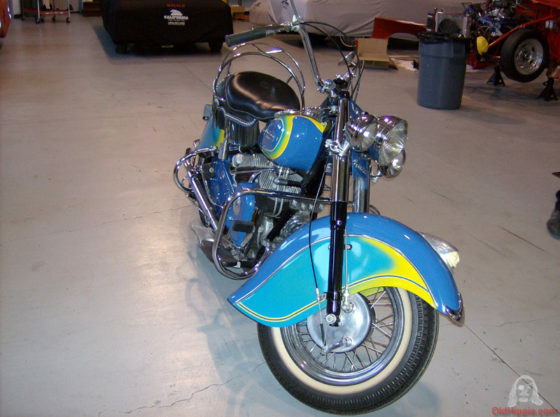 When I closed it and sold the museum pieces, I kept my two favorites – this and a 1950 Kustom Chief. After riding for less than 500 miles, it was drained of its fluids for long term display in my museum. Since the closing of my museum, this Rainbow Chief has been stored in a dust-free plastic bubble for my private viewing pleasure. 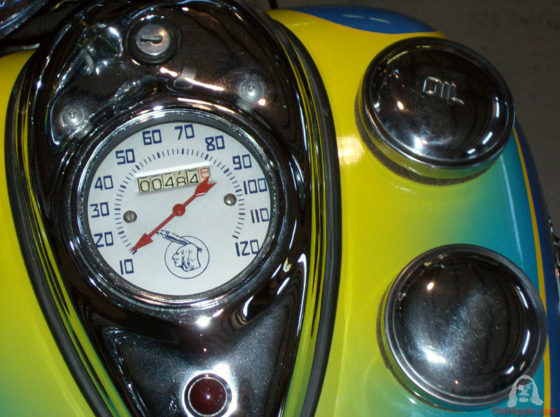 Prior to riding, a professional motorcycle technician should rebuild the carburetor, install a fresh battery, complete a thorough inspection and lubrication service – and make the proper adjustments. While I’m selling this and most of my other collector cars, trucks, and motorcycles for our retirement and for less to maintain, there is ashort list of items I might consider in trade. 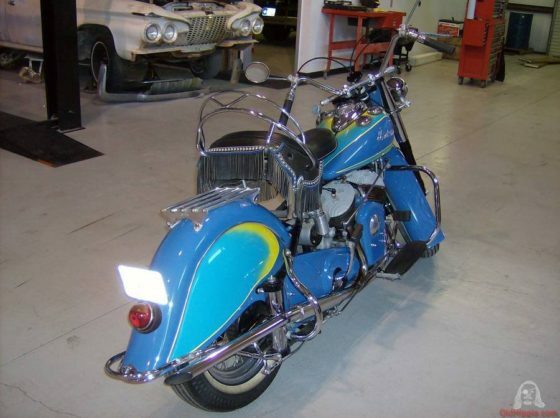 For a complete and up to date list of items I have for sale or trade, click here.